Pen sleeve for the Kaweco Sport series pens. Superior quality leather, hand stitched. The Kaweco Sport series of fountain and rollerball pens is widely regarded as one of the best pocket carry pens around. The design is unchanged since the 1930s. 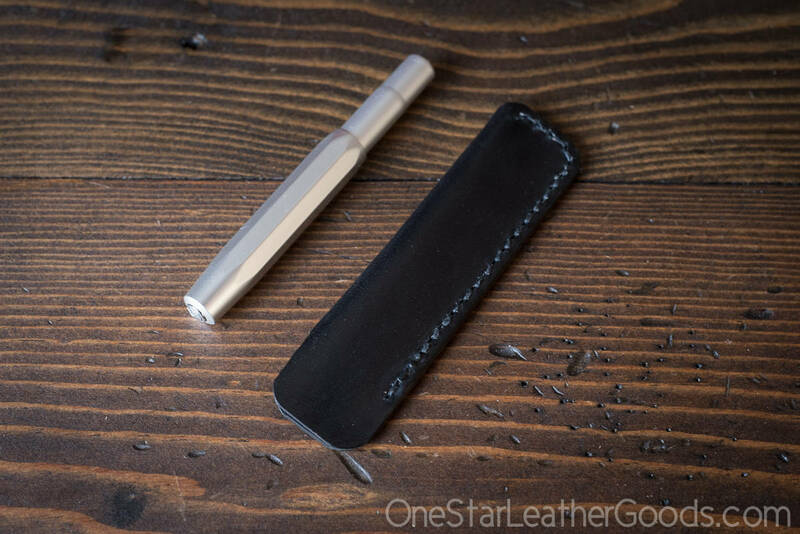 If you want to protect the finish on your pen, this simple leather sleeve is a perfect solution. Keys and change in your pocket are no problem now, all your items can co-habitate happily.